Based in Toronto, Megan Lorenz is an internationally recognized professional photographer with a passion for wildlife and nature. She is self-taught and has a distinctive style which makes her photographs instantly recognizable. She is supportive of conservation efforts to protect species and their natural environments and belongs to many groups which work to protect those interests. Her passion and love for the wildlife she photographs comes through in her photos which have appeared in countless advertising campaigns - including a major advertising campaign for Canon - and in international publications including: National Geographic, Audubon, Birder's World, Nature's Best Photography, Defenders Of Wildlife, National Wildlife Federation, Canadian Wildlife Federation, Canadian Geographic, Photolife, Smithsonian, Readers Digest, Ranger Rick Jr. Magazine and more. Her work has also been used in many Greeting Cards, books, calendars and newspapers. 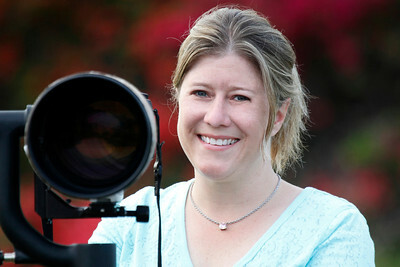 Megan is a Queen Elizabeth II Diamond Jubilee Medal Recipient for her contribution to Canadian wildlife photography. This commemorative medal was created to mark the 2012 celebrations of the 60th anniversary of Her Majesty Queen Elizabeth II’s accession to the Throne as Queen of Canada. The Queen Elizabeth II Diamond Jubilee Medal is a tangible way for Canada to honour Her Majesty for her service to this country. At the same time, it serves to honour significant contributions and achievements by Canadians. Megan also leads private and group workshops and enjoys teaching others how to make the most of every opportunity they have the privilege of witnessing. She believes that intensive knowledge of a species behaviour, traits and habitat is paramount to successful wildlife photography and has an unending amount of patience which helps her in the field waiting for the perfect moment. When she isn't travelling or searching for owls and other wildlife in Ontario, she keeps busy with studio photography of people and pets, lifestyle & event photography. Her pet photography can been seen all over the world in publications, advertising, calendars and product labels.